Valet parking available at Embassey Suites entrance on beachwalk. Valet also available Wyndham, entrance on Lewers turn left on Halumoa street, left again into Wyndham. Validated parking $6.00 (not including tip) for up to 3 hours. 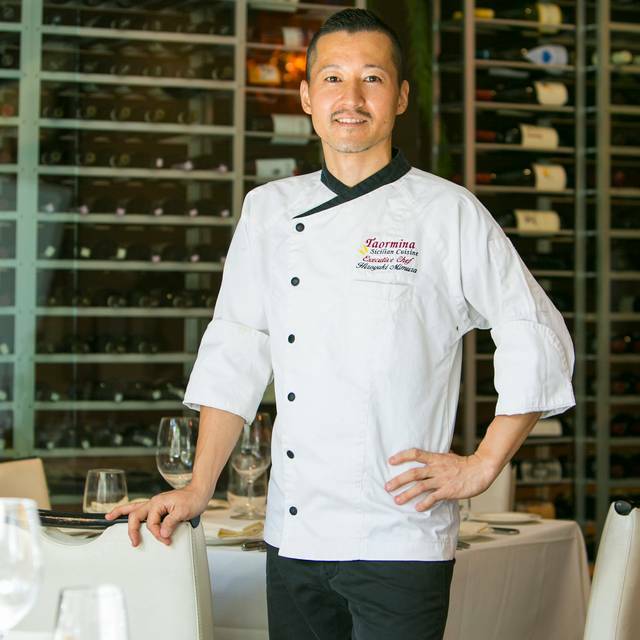 Inspired by authentic Sicilian recipes from the kitchens of Southern Italy's seaside town of Taormina, Chef Hiroyuki Mimura pairs fresh pastas with the highest quality seafoods and meats. Unspoiled by heavy sauces, Sicilian-style pastas are dressed in pure, extra virgin olive oil. 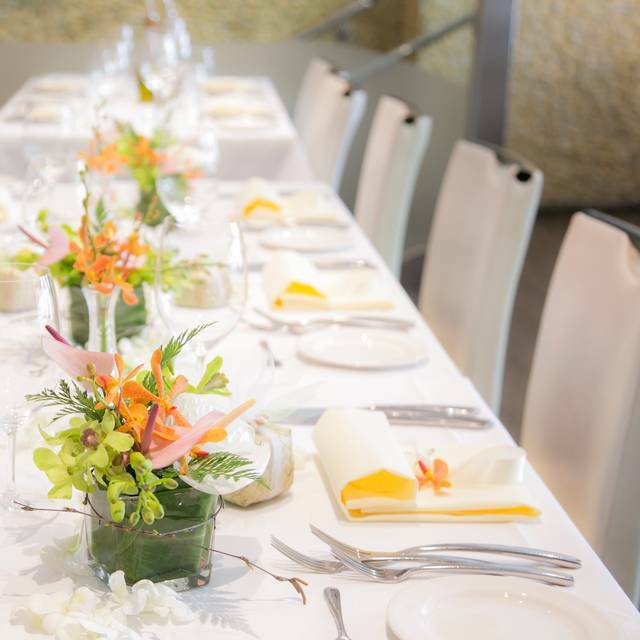 Fresh vegetables, lightly grilled fresh local fish, and lamb seasoned with herbs offer diners a healthy range of options.Featured dishes include fresh Fettucine Carbonara finished with tableside Truffle service, grilled Lamb Chops "Palermo" and Veal "Siciliana." Taormina's specialty dish is Uni Pasta (Sea Urchin), a delicacy enjoyed in Japan and Italy. Italian espressos compliment selections of house made desserts (Dolci). My fav restaurant!! I think their uni pasta is hands down the best!! We were seated on the terrace and truly enjoyed our dinner. It was quiet enough to carry on a conversation without raising our voices and the gentle breeze was perfect. The three of us ordered pasta ala Norma, lasagna and spaghetti with clams after antipasti "taste of Italy" and caponata. All dishes were delicious and ample, the lasagna being enough for two. We were presented with a beautiful dessert selection, with all three being superb. Hannah, our server was a delight. We never felt hurried and she accommodated our every wish. We highly recommend Taormina. Outdoor table perfect. A lovely meal. Pleasant staff. Elegimos este restaurante en nuestro viaje familiar a Oahu porque nos encanta la comida Italiana y viajamos a Sicilia hace unos años, cuando leímos que tenían nuestro postre favorito, Cannolo, fue un poco decepcionante descubrir que ya no estaba en su carta, a pesar de haber leído que lo tenían. En cualquier caso disfrutamos de la comida, todo muy fresco y delicioso, la pasta al dente, la Lasagna espectacular y todo el personal muy profesional y amable, pedimos extra queso rallado parmesano y nos trajeron un bol lleno. 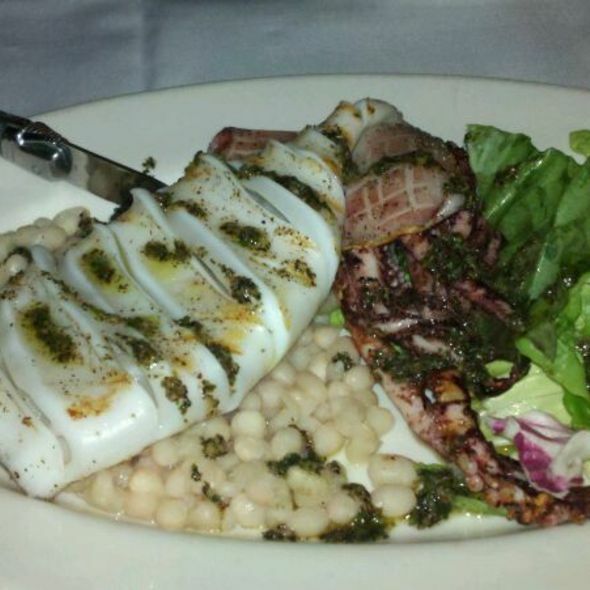 We split an order of calamari, which was well prepared, a little crusty and tender within. 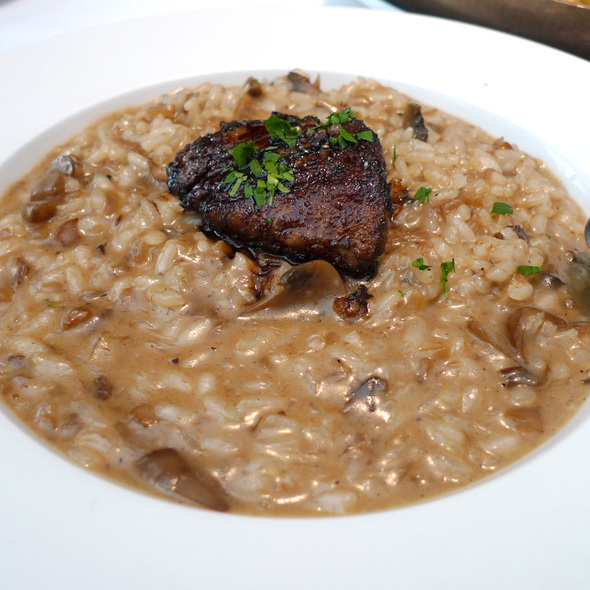 I had mushroom risotto with grilled fois gras, excellent! Very rich with complimentary flavors. My wife had pasta with sardines, also quite nice. For dessert we had tiramisu, prettily presented. We are moderate eaters and these dishes were sufficient. Great Italian food and delightful service. Wonderful dessert! Très bon restaurant mais plutôt cher. Les plats s'enchaînaient trop rapidement même si nous avons demandé au serveur d'espacer les services. Did the 5 Course with the drink accompaniments and it was fabulous. Very fast, dark, and over priced dinner. Not like Taormina at all. Wanted an upscale dinner on our last night of vacation and left very disappointed. Gabriel made the celebration of our 27th anniversary very special. Thank you all! The surprise was as great as everything you all do. Very limited menu not offering enough salad choices or pasta choices. Everything has bacon on it. Taorminas is a gem for a quick, delightful business lunch. Excellent food (the lasagna was exceptional, unique with a touch of blue cheese & perfectly breaded parmesan crust) My guests enjoyed the fresh fish and the special pasta (squid ink?) Excellent service, pikite, prompt yet not rushed, unobtrusive. Definitely a great spot for real italian lunch. I always order the uni pasta but decided to try something different this time and ordered the squid ink linguine. 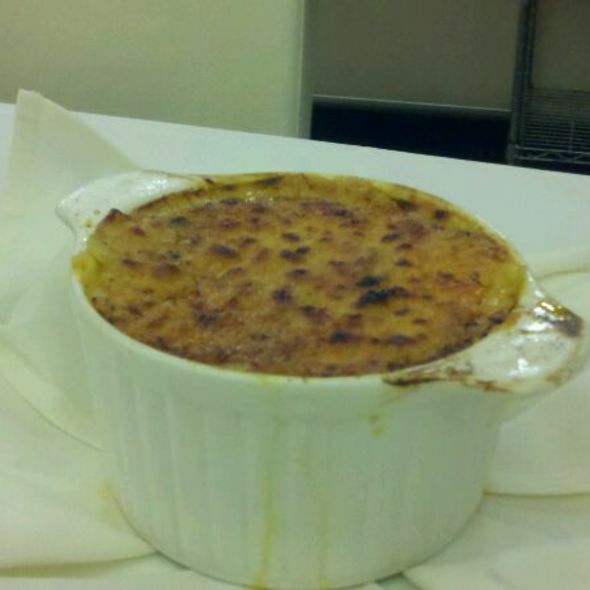 I was just totally overwhelmed by its flavor, texture, presentation...everything. Service was great and flowed so smoothly. Perfect ambience for a nice quiet dinner for two! 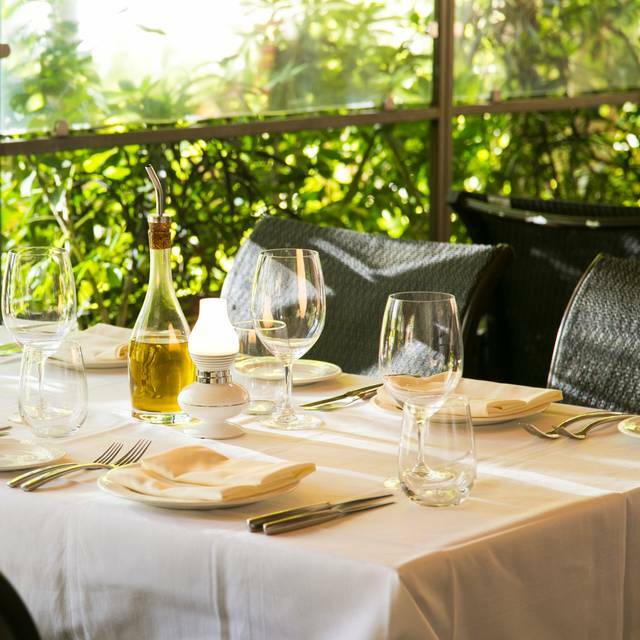 Taormina continues to be one of the best dining spots in Honolulu. Filetto di manzo was excellent. Must try! The meal was very good it has a very Italian feel to the restaurant. We both had the 5 course prefix meal. This was our favorite restaurant on Waikiki! The pasta was excellent, the wait staff very courteous and prompt. If we ever travel to Hawaii again, we would dine here again! The dining room was also quite intimate and cozy. I do recommend eating here and it’s very conveniently located to where we were staying at the Sheraton Waikiki! We enjoyed the beer salad, pasta with mussels and local fish. All delicious. Ari, our server , was a charmer. Outstanding food and service. I will definitely eat there again when back in Hawaii. Excellent authentic food. Well managed staff and facility. Terrific server. Excellent Sicilian style food, and great service, too. 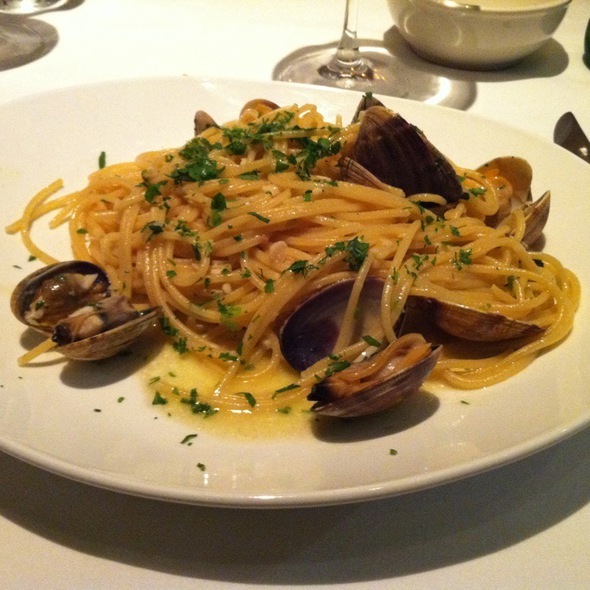 We particularly enjoyed 2 pasta dishes with seafood, and the tiramisu for dessert. Dined here a few times. Always enjoy the friendly staff/servers and food. Everything is amazing. The trio of desserts is not on the menu, however you can ask for it. It’s amazing! Taormina is my go-to lunch spot in Waikiki. 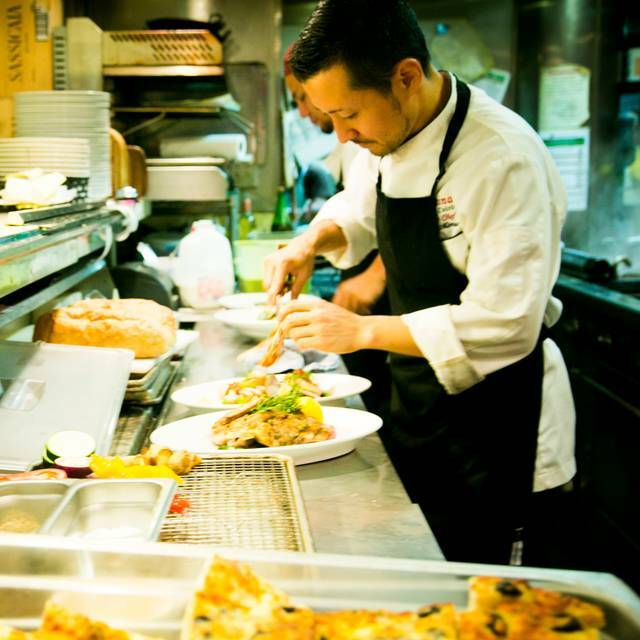 Service is always excellent, food is always amazing, and drinks are always refreshing and tasty. Definitely will be back soon! This is my husband's favorite restaurant. His all time favorite is the balsamic spaghetti. Roxy was an awesome server. The manager came to check up on us so we were confident that we had the best service. Thanks for a great dining experience! Will definitely return. Great pasta. Best in Hawaii. Very good. Jist. Loy of money for small portions. I went to this restaurant on the 11th March. It was supposed to be our special dinner because we had a wedding ceremony,but it was just a terrible dinner.. Wonderfully prepared and presented seafood options. A real sleeper to dine as some unusal and tasty dishes. Do not miss the eggplant appetizer. What a wonderful meal and excellent service!! Our server Jenn was attentive, friendly, and had great suggestions. Dani at the bar was awesome!! The food was fantastic - we ordered both salads on the menu, the kampachi carpaccio, frutti di mar, and another pasta and grilled seafood dish. All of them were delicious!! I would highly recommend dining at Taormina! !